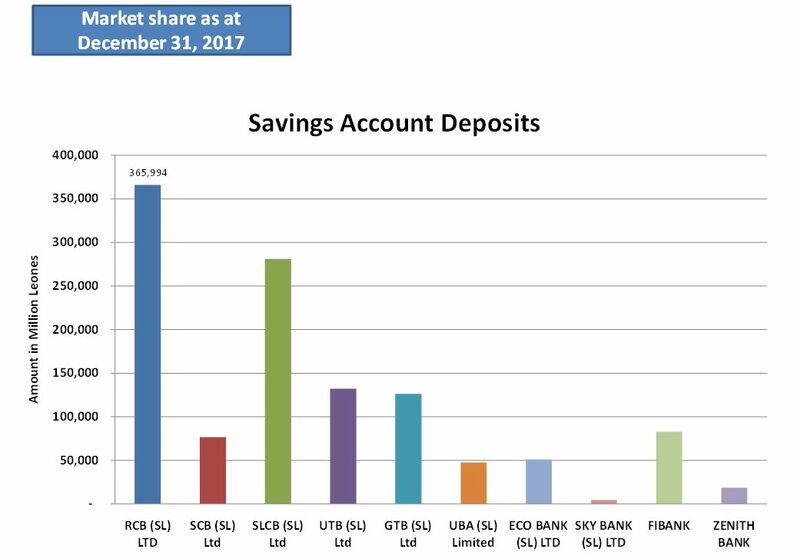 Rokel Commercial Bank (SL) Ltd. is the dominant bank in the market place providing about 25% of all banking business in the country. Rokel is well known for its innovation in terms of products and services. Rokel Commercial Bank (formerly Barclays Bank) was established in 1917 as Barclays Bank DCO with 100% shares owned by the parent company. In 1971 it was incorporated locally and renamed Barclays Bank of Sierra Leone Limited with 25% shares owned by Sierra Leoneans and 75% Barclays Bank International. 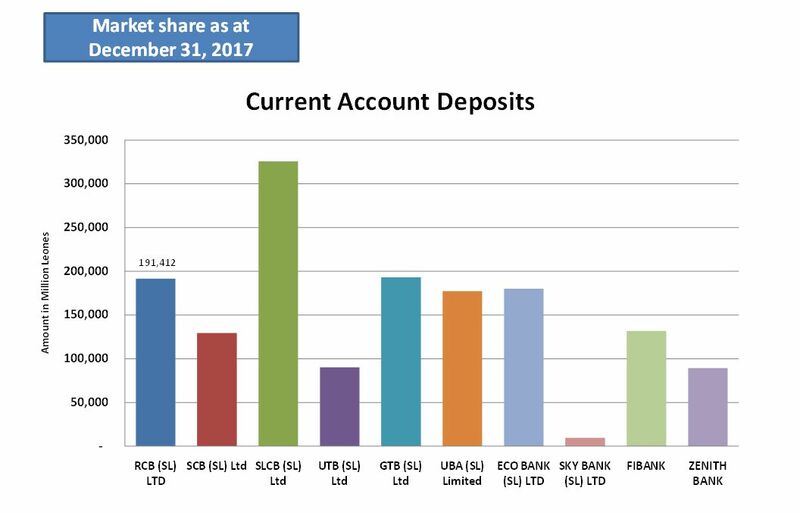 The rationale behind this move was to encourage Sierra Leoneans to participate as owners and develop confidence in the Bank. Basic banking services (i.e. Savings and Current Accounts, Foreign Exchange, Bills for Collection, Safe Custody etc.) were provided and branches were established across the country. The bank had a network of 16 branches in various areas of the country at the outbreak of the war in 1992. As a result of the intensification of the civil war, the network reduced in quick succession leading to one Bank/Branch in April 1998. On the 17th September 1999, Barclays Bank PLC which was the majority shareholder at the time (60% shares) withdrew from its operations in Sierra Leone after extensive discussions with the Government of Sierra Leone. The Bank after consultations with the Government was renamed Rokel Commercial Bank (Sierra Leone) Limited. 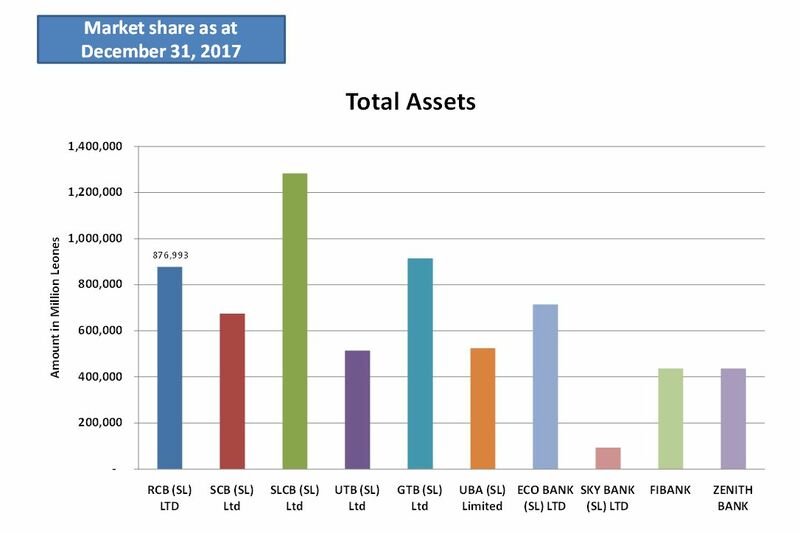 The Government of Sierra Leone now holds 65% shares and 35% shares owned by private institutions, organizations, and individuals. “Rokel” is the name of the longest river in Sierra Leone and empties into the Atlantic Ocean. This depicts the greatness of the Bank as a gateway to Banking in Sierra Leone. It thus follows that Rokel River by virtue of its prominence in the country and the bank because of its geographical spread has been referred to as the Gateway to Banking in Sierra Leone. Our Current Branch Network could be seen in Table 1 below. 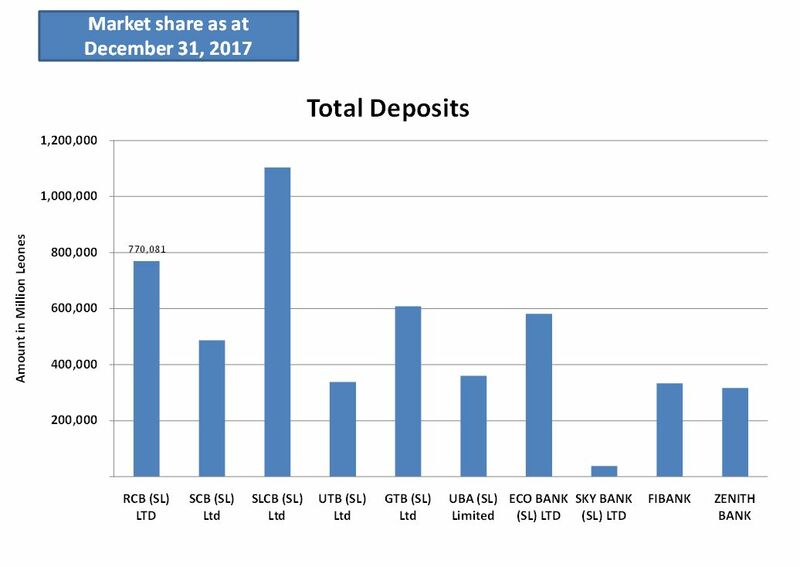 Rokel Commercial Bank (SL) Ltd is the dominant bank in the marketplace providing about 10% of all banking business in the country. RCBank maintains correspondent banking relationships with the following: Standard Chartered Bank UK and Ghana International Bank Plc to provide trade finance facilities for the importation of goods and services to the country through letters of credit etc. As a member of the SWIFT network both internal and external remittances are guaranteed a 24 hours turnaround time. Rokel Commercial Bank’s senior management team comprises of professionals with extensive experience in the financial services industry and is capable of providing all forms of banking support services. Our Managers are available at all times for discussions and serve as a focal point in providing excellent services at all times. The bank also provides competitive exchange rates for all transactions relating to foreign currencies and is very flexible in dealing with commission /transfer and other charges. Rokel is well known for its innovation in terms of products and services. All our branches provide real-time banking services supported by VSAT/E1 connectivity and the concept of banking with the bank is manifested through our network of branches. Our core values are those values we hold which form the foundation on which we perform work and conduct ourselves; they form the basic elements of how we go about our work and which strategies we employ to fulfill our mission. They are the practices we use daily in everything we do. Our core values guide our internal conduct as well as our relationship with the external world. RCB operates in a market where competition is keen and is one of fourteen (14) commercial banks in the country all together having a total of one hundred and six (106) bank branches, Seventeen (17) community banks, Fifty-eight (58) foreign exchange bureau, Nineteen (19) Micro-Finance Institutions (MFIs) which includes five (5) deposit-taking and fourteen (14) credit only and Fifty-one (51) Financial Services Associations (FSAs) as at 31st December 2016. However, RCB is amongst the top three Banks in terms of size and market share in the country and even though there are fourteen banks and other institutions providing financial services in the country, little penetration has been made into the unbanked population. 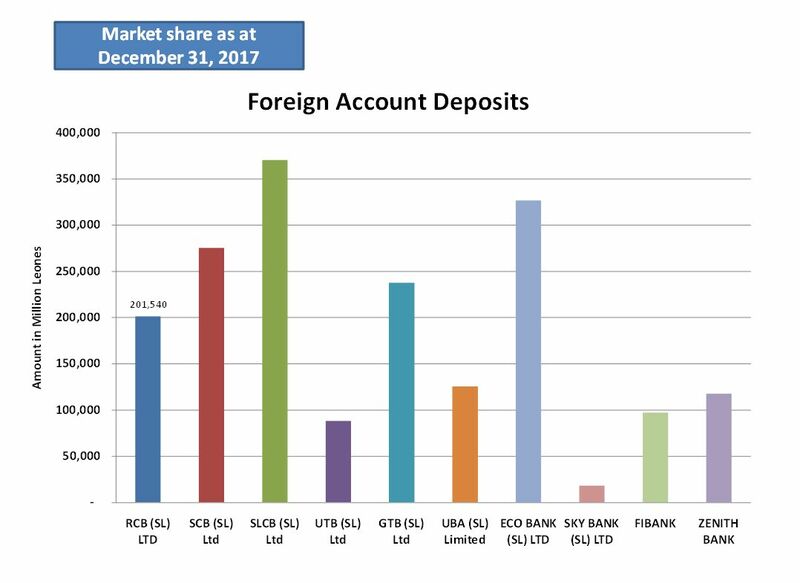 With the quantum of Foreign Direct Investment coming into the economy, it is expected that the volume of trade will rise and more businesses will be passed through the banking sector. 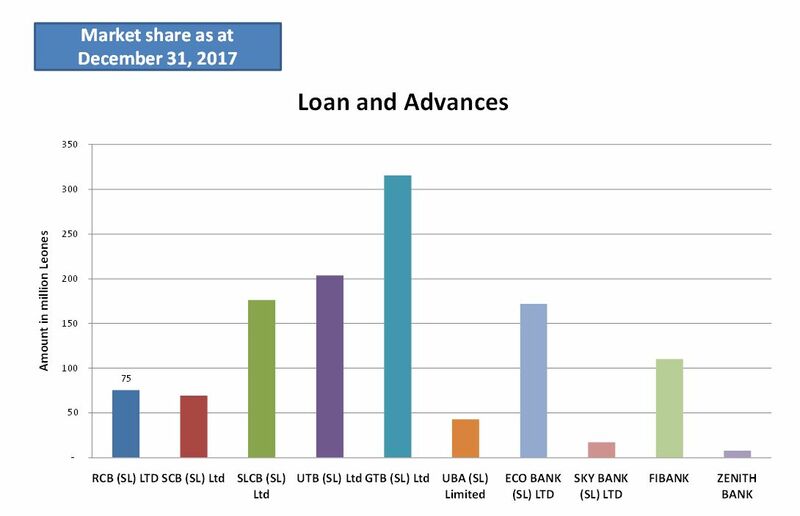 The demand for credit facilities is on the increase and is expected to rise but because of challenges faced in 2014 and beyond, RCB is constrained to advancing facilities freely as the bank is currently under strict monitoring of loans and advances. 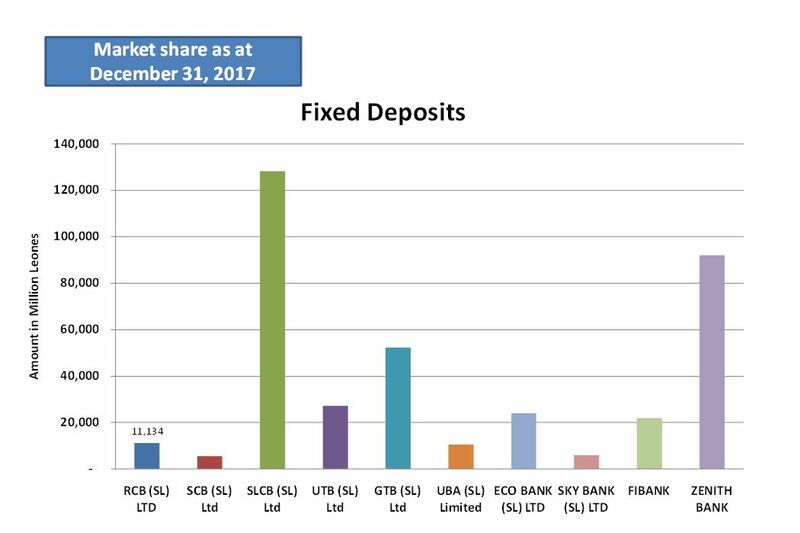 Most of the funds raised by banks are short term based but there are requests for the medium to long-term financing which is posing a challenge for the bank. The market appears to be getting sophisticated as there are requests for syndication, trade finance, increased automation and digital banking. 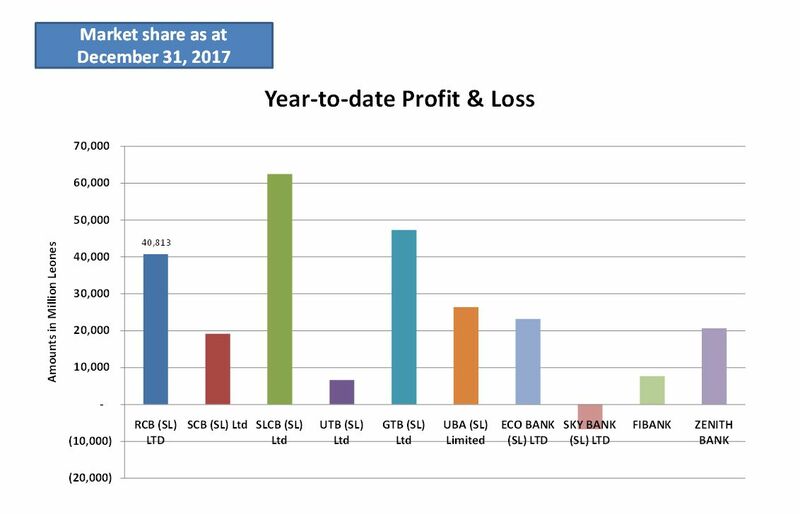 The following figures illustrate the Bank's performance in the industry as at 31st December 2017. As a result of the intensification of the civil war the network was reduced in quick succession leading to one Bank/Branch in April, 1998. On 17th September 1999, Barclays Bank PLC which was the majority shareholder at the time (60% shares) withdrew from its operations in Sierra Leone after extensive discussions with the Government of Sierra Leone. The Bank after consultations with the Government was renamed Rokel Commercial Bank (Sierra Leone) Limited. 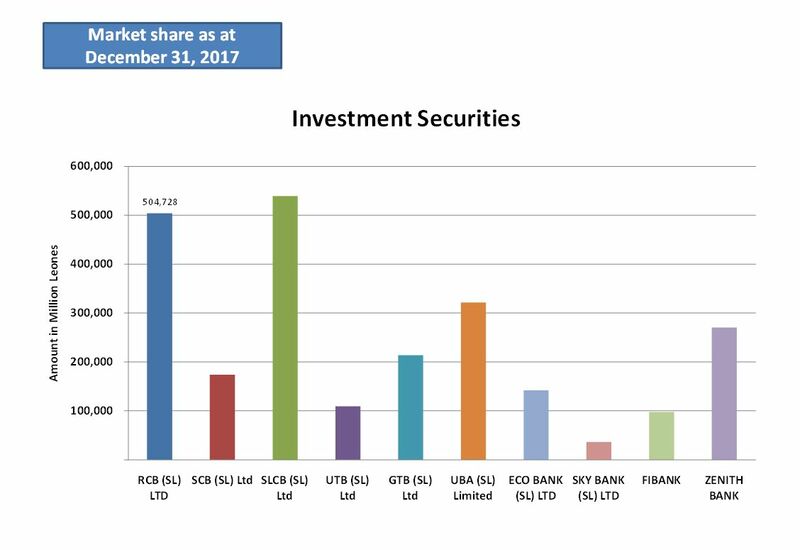 The Government of Sierra Leone now holds 65% shares, 35% shares owned by private institutions, organizations and individuals. The mission of Rokel Commercial Bank is to provide banking and related financial services in a manner that builds strong, lasting and satisfying relationships with customers, employees, shareholders and the communities in which the bank operates”. The Board is headed by a Chairman, supported by 6 non –executive Directors, meets regularly to advise on policy matters and approve limits/expenditure outside Managements discretion. Company law requires the Bank to prepare financial statements for each financial year which give a true and fair view of the state of affairs of the Company and of the profit and loss of the Company for that period. Prepare the financial statements on a going-concern basis unless it is inappropriate to presume that the Company will continue in business. The Directors are responsible for keeping proper accounting records which disclose with reasonable accuracy at any time the financial position of the Company and to enable them to ensure that the financial statements comply with International Accounting Standards and the requirements of the Companies Act 2009. They are also responsible for safeguarding the assets of the Company and hence for taking reasonable steps for the prevention and detection of fraud and other irregularities.